Resurrection Catholic School in Cherry Hill held two mini camps this summer for students in first to sixth grades. 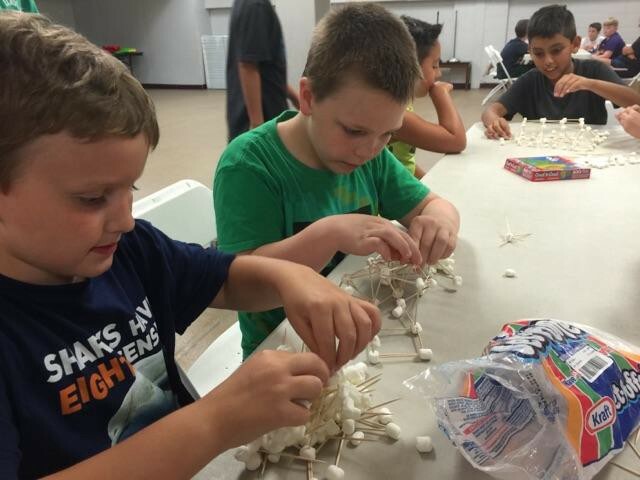 Students at Resurrection Catholic School’s SPACE Camp participated in an activity where they were challenged to build a structure out of marshmallows and toothpicks that could hold up a box of puzzle pieces. Resurrection Catholic School in Cherry Hill held two mini camps this summer to allow students to clear out the summer cobwebs. 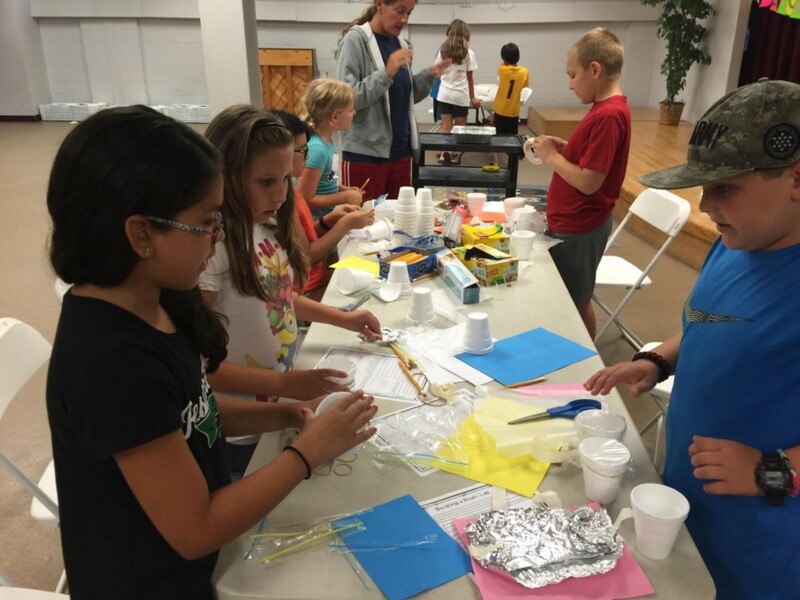 The school’s Primary Enrichment Camp built upon the excitement of the Summer Olympics. For two weeks, students entering first through third grades learned about four different countries: England, Italy, China and Mexico. The students were taught about each country’s history, traditions and cuisines. At the Summer Program of Active Curriculum Enrichment, or SPACE Camp, students entering grades three to six were challenged to think outside the box. Students began with a challenge to build a structure out of marshmallows and toothpicks. The structure had to support the weight of a box filled with 100 puzzle pieces. Eight of the 10 structures held up to the test. Students at Resurrection Catholic School’s SPACE Camp had to make a working boat out of a limited amount of materials during one challenge. In a STEM activity, students had to make a boat out of available materials, including foam cups, foil, straws, tape, foam, rubber bands and construction paper. The boat had to float and hold 10 pennies without sinking. Dissection was also part of SPACE Camp. Students learned about the anatomy, habitats and behaviors of the common jellyfish. They then dissected the jellyfish to identify the physical structures.